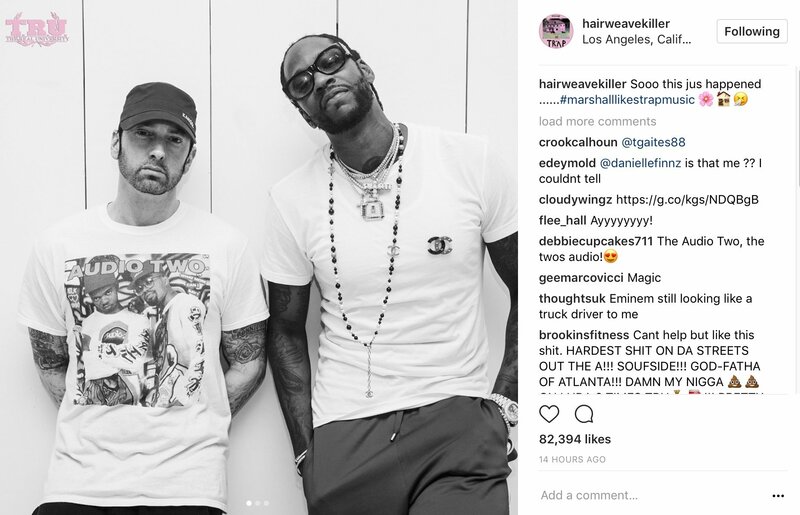 Grammy-winning rapper Eminem might have new music coming sooner than fans think. A new report claims Slim Shady’s long-awaited follow-up to 2013’s The Marshall Mathers LP 2 is on deck. According to reports, Eminem could have his next album arrive in the coming months. Recently, film director Allen Hughes revealed Dr. Dre is quietly putting together Eminem’s next album. In June, Em raised eyebrows after he hooked up with G.O.O.D. Music’s 2 Chainz. Next ArticleJAY-Z’s TIDAL Experiencing “Virtually No Growth”, Kanye West & Meek Mill Play Key Roles?